OZCO Building Products OD-T4 Oz-Deck | Hoover Fence Co. The Oz-Deck is a heavy duty 12" square plate that supports a T4-850 Oz-Post for load bearing projects like backyard decks (Oz-Post sold separately). Oz-Deck is the easiest deck foundation product to use and offers excellent performance in all climates. With a floating deck system like Oz-Deck there is no need to drill holes into the side of your home to anchor the deck saving you time and frustration. Oz-Deck is an easy way to install deck piers without having to dig holes and mix cement. Oz-Deck utilizes standard deck building techniques (posts, beams and joists) and can be used for decks up to 7' high. Tested for 1600 lbs load to comply with International Building Codes. Oz-Deck - 12" square, 5mm thick, hot dipped galvanized steel. T4-850 Oz-Post used with Oz-Deck to provide an excellent support system. JDK-10 Jackhammer Driver Kit - Part # OP-20480. MDK-13 Manual Driver Kit - Part # OP-20500. Jackhammers available at most tool rental centers. Does Oz-Deck meet building codes? You may be required to get a building permit in your area to build a fence. 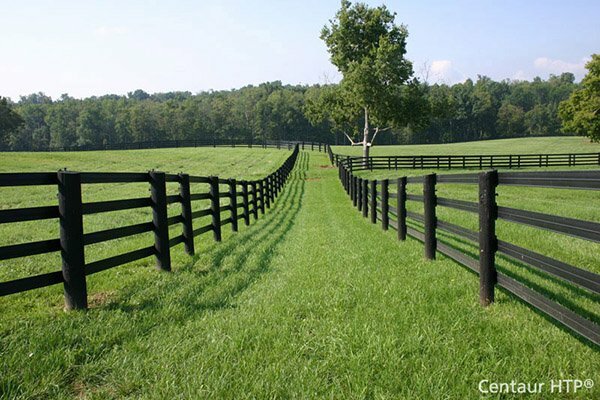 Building codes for fence construction generally relate to the height and style of fence that is allowed on your property. Most of these codes are intended to keep uniform standards throughout a community. Other concerns on fence construction are sight lines for drivers and also to prevent land owners from constructing a fence that would be considered an eye sore. Some cities have specifications for post holes for fence construction but most cases they will accept other equivalent alternatives like Oz-Post. In terms of the "post hole" many cities require certain depths and widths for fence construction. In frost prone areas this is to assure that the post holes are past the frost line to prevent heaving and in high wind areas these regulations are to assure post stability. Because you are NOT digging a hole with Oz-Post many of these codes do not generally apply. Most inspectors do not have any issues with the use of Oz-Posts because they are specifically designed, tested and engineered for fence construction. Oz-Post also assures proper installation because it is difficult to "cheat" with Oz-Posts. Many contractors and homeowners do not follow the building code and dig their holes to the proper depth and width. This is the reason that post hole inspections are required for some fence construction projects. This is uncommon and in most cases is limited to commercial/government projects. Post inspections are not required for Oz-Post because there is no post hole. In some areas especially high wind areas your inspector may request to see the wind load testing that is available for download on our web site. In all situations you should follow your local building code requirements. If your city requires 4' spacing for fence posts or a maximum height of 6' you will have to follow those codes. Oz-Deck utilizes the floating deck building technique. Floating deck construction is a similar concept as concrete patio or slab foundation on a house. Patios, slab foundations or drive ways do not have piers in the ground they rely on distributing the weight over a large area to prevent them from sinking in the ground. Oz-Deck uses the same principle of spreading the load for the deck over more square inches of earth compared to the alternative method of digging post holes and attaching a ledger to the house. With post holes and ledger construction one side of the deck is attached to the house with a ledger board that is bolted to the home. This requires special attention to assure that the board is properly attached to the home securely. Most deck failures occur because of improper ledger attachment. Oz-Deck is different because there is no ledger board required. The deck simply sits tight to the side of the home but is not actually attached to the home. This is why it is called a "floating deck". With post holes there is a great deal of pressure exerted on the posts because there are less posts compared to Oz-Deck. This is why it is very important that the piers be installed properly and why many cities require inspections of deck piers. You can understand the concept of a floating deck vs. a pier and ledger deck by thinking about the old trick of a circus performer lying on a bed of nails. If there are hundreds of nails in the board the weight of the performer is distributed over many points of contact and there is no pain or injury. This is similar to a floating deck. Alternatively if the same performer lay on a board with just a few nails he would become seriously injured. This is similar to a post hole and ledger construction. With Oz-Deck the construction of your deck is much faster and easier. Simply locate the deck plates where your posts are required and drive the Oz-Post through them. How does Oz-Deck work on unleveled ground? Oz-Decks are ideal for all types of terrain including areas that are unleveled. There are very few backyards that are level most having a slope away from the home to promote drainage. Traditional deck construction techniques are used with Oz-Deck which makes it very easy to adjust for varying grade changes. This technique is posts that support beams, joists sit on the beams and the deck boards are fastened to the joists. After driving the Oz-Posts in the ground string lines are strung across all of the Oz-Decks at the desired height with a string level. This is an important step because this will make your deck posts all level. Simply measure from the string line to the base of the Oz-Post and cut a piece of 4x4 to the exact length. Repeat this for all posts. When this is complete your deck foundation is level with no digging, no concrete, and no mess. The posts are now ready for the beams to be installed. This process is very fast and does not require high skill levels. Please refer to the instruction manual for more information. How high can I build my deck with Oz-Deck? Oz-Decks can be used for decks that are up to 7' high. Cross braces are required for all decks that are 5' and higher. Cross braces are also recommended for decks that are built with post holes. When used according to Oz-Decks recommendations, the Oz-Deck Foundation System conforms to all national and regional building codes when the deck is unattached from the house. Even though a state may have one building code, the city/county may choose to impose greater regulations and restrictions. Confirm with your local building department before starting any construction. When built according to Oz-Decks plan specifications, the Oz-Deck Foundation System meets structural requirements for deck construction. They are strong, durable, and safe. Oz-Deck is designed to meet a minimum load rating of 52 lbs. per square foot. What is the difference between Oz-Deck and pre-cast concrete deck blocks or pier blocks? The main difference between deck blocks/pier blocks and Oz-Deck is the construction technique for building the structure of the deck. Deck blocks do not use beams to support the joist structure therefore deck blocks are required under every joist on no greater than 5' spacing. For the average deck this requirement can add up to be twice as many deck blocks than Oz-Decks for the same size deck. Deck blocks are also heavy and difficult to move into location and must be located perfectly level and in line under every joist. This is a time consuming and tedious task. Getting the deck joist framing square is also challenging with this construction technique. Because Oz-Deck uses traditional building techniques utilizing plans from deck magazines, books and web sites is easy to do. The only difference will be that with Oz-Deck there will be more beams. One other advantage is that Oz-Deck offers lateral load strength and substantial vertical up load resistance. Because the wood support posts are attached securely to the Oz-Post there is no risk of the post becoming dislodged with the support. Oz-Posts also deliver substantial lateral load strength to keep long support posts stable. Deck piers offer no lateral load strength and no vertical load resistance because the support post or joist simply sits on the deck pier. Is Oz-Deck available for post sizes other than 4x4? No, Oz-Deck is only offered for posts that are 4x4's. The main reason for this is that there is no need to increase the post size because the added strength of a larger post and added cost is not necessary. Oz-Decks must be installed on 6' centers which do not produce a load that would require a larger post. What beam and joist sizes should I use? For the beams it is recommended to nail 2 2x6 boards together to make the beam and rest them on top of the post and attach with steel connectors. If the deck is going to be very low profile the beams can be mounted on the sides of the posts and attached with large bolts and/or brackets. For the joists 2x6 boards is all that is required. Spacing between the boards should follow building code and manufacturers guidelines (for composite decking). Generally 2x6 decking boards can be on 24" centers and 5/4 and composite decking should be on 16" centers. Can I install a hot tub with Oz-Deck? Yes, Oz-Decks can be used to support the load of a hot tub. In the area where the hot tub is going to be located it is required that the beam and post spacing be decreased to 3' centers from 6'. Also it is recommended to install extra Oz-Decks so that there is a minimum of 6 under most standard hot tubs. For larger tubs or other special projects call customer service. How long do Oz-Decks take to install? The actual installation of an Oz-Deck is about 2 min. but for project planning about an allocation of 10-15 min each post should be expected. So for a standard 12' x 12' deck that will require 9 Oz-Deck plates you should have all of the piers in place in about 2 hours. We have taken into account the time to run string lines and locate the post locations and cutting the posts to the proper height. It is assumed that this process is being done by two people. After the posts are in the rest of the project is very fast. Making the framing for the deck and squaring it up is easy and then all that is left is the deck boards. A basic 12' x 12' can easily be completed in one day by two people. What does frost heaving and thawing mean? Frost heave is caused by water that is trapped underground in layers of soil that have become frozen. When the water freezes it expands causing the surface to move vertically. This natural occurrence can cause the surface to move up in the winter and back to the original location in the spring when the frost thaws. Even if you live in a warmer climate like Texas, the principles are the same. The soil will expand and contract with temperature and moisture changes in the soil. This is less of a problem in these climates, but movement can occur. How does frost heave affect conventional deck construction? When footings are not buried below the frost line or without smooth edges, damage can occur. During cold seasons, ice lenses form, exerting pressure against the rough edges of the concrete post, forcing it upward. A pocket will form under the post where the soil is not affected by frost. Dirt particles and water will then accumulate into this pocket. During the spring thaw, it is likely that the post will not return to its original position (due to the accumulation of soil deposits). When repeated throughout the life of the deck, this process of lifting the post can cause significant damage to the structural integrity of the deck. How is frost heave prevented? The standard method is to anchor the post down by digging a large hole to or below the frost line. The shape of the hole should be like a bell. The hole must wider at the bottom than at the top. This is difficult to do but is typically required by building codes. If this is not done correctly, there will be heaving over time which could damage your structure. Building inspectors will often require "hole" inspections to make sure that it has been dug correctly significantly adding to the time necessary to build your deck. How does frost heave affect the Oz-Deck Foundation System? The Oz-Deck sits on top of the ground, moving up and down just as your driveway or sidewalk would. The deck structure is part of the anchoring system and is designed to accommodate the frost movement. Not fight against it. When building next to a door, place the deck height a minimum of 1/2 inch below the door's threshold. Will my deck move sideways or pull from the house? No. When frost heave occurs, the forces in the ground have nowhere to go except up. The deck may move slightly up and down, but not from side to side. In addition the anchor in the ground prevents any side to side movement. A deck built with Oz-Deck will not move away from the house. Should I put anything under the Oz-Deck piers? It's not necessary to put anything under the Oz-Deck piers. They can sit directly on top of the soil or grass. The use of a jackhammer to install the Oz-Deck post is recommended because as the Oz-Post reaches the Oz-Deck plate it compacts the top soil and removes any air pockets in the soil providing a sturdy foundation. If you want to put something on the ground you can put fine gravel on the surface. Even on poor soil conditions, your deck will not sink. Oz-Deck foundation system is designed to distribute weight EVENLY across the ground. It is essential that you follow the recommended spacing of Oz-Deck piers. A simple non-technical method to determine if your soil is suitable for Oz-Deck is the shoe print test. Under normal situations, if a person's shoe sinks into the ground more than 1/2 inch while they are walking, the soil may not be suitable for construction and corrections to site drainage and soil composition may need to be made. My local building code and/or Inspector require footings. What do I do now? Your local building code may assume that the deck you are building will be attached to your house. You will need to make it clear that you will be building a "floating deck? and that you will not be attaching the deck to the house. It is extremely unusual for a local building code to require footings for all types of deck construction. Typically footings are required if the deck is attached to a fixed object, similar to a house. A floating foundation is a different building method and clarification with the inspector should resolve any problems. In some cases you will need to present a construction plan that you will be using. The inspector may also require additional technical information that is available in our download section. Do I need to have my utilities marked? Yes, the Oz-Post is driven into the ground 24"- 34" and therefore you must call for locations of all utilities. This service is free and can be accessed nationally by calling 811 or your local utility companies. Can I use Oz-Deck for a gazebo or open roof structure? No, open roof structures act like an umbrella can cause uplift in high wind. Oz-Posts do not offer adequate uplift resistance for roof structures. Open arbors and pergolas where wind can easily pass through can be built with Oz-Deck. Closed structures like a garden shed can be supported with Oz-Deck.